This foam insert is just right for miniatures with round or square 50 mm base. 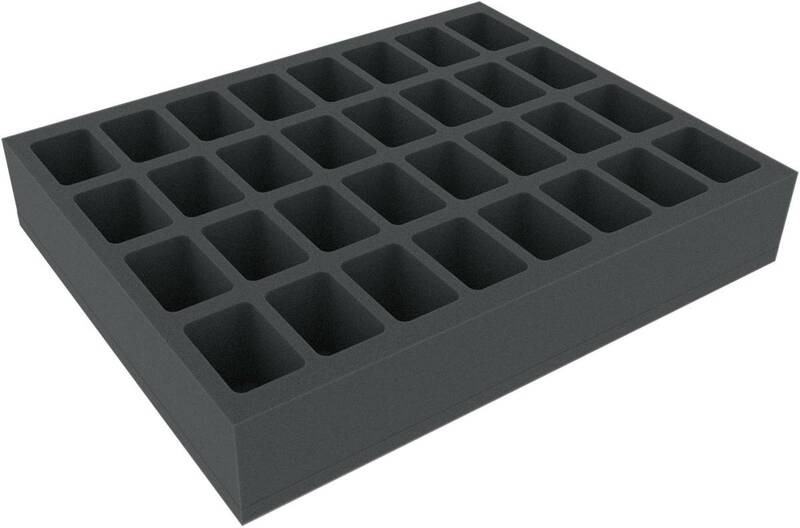 Feldherr 60 mm high full-size foam insert with 32 compartments. Universal-cut compartments provide optimum protection for various miniatures. 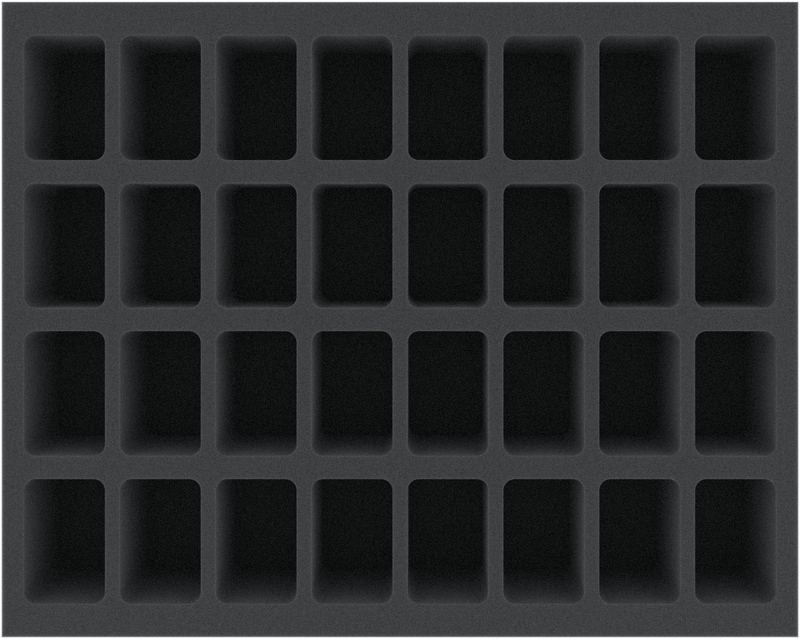 The compartment size is 35 x 54 x 50 mm.